I'm finally back from an absolute whirlwind Summer and start to Fall. For those of you who follow my Instagram and Facebook you were absolutely apart of the journey with me and I'm incredibly grateful for that. I did not formerly announce it on the blog but in addition to illustrating with designer Naomi Spindel, I was also selected by renowned illustrator Alvaro and Would You Rock This to cover the Ruffian SS14 show at New York Fashion week this past Sept 7th. As expected I jumped at the opportunity, and had the time of my life sketching voraciously from the runway, and inside the Lincoln Center tents. 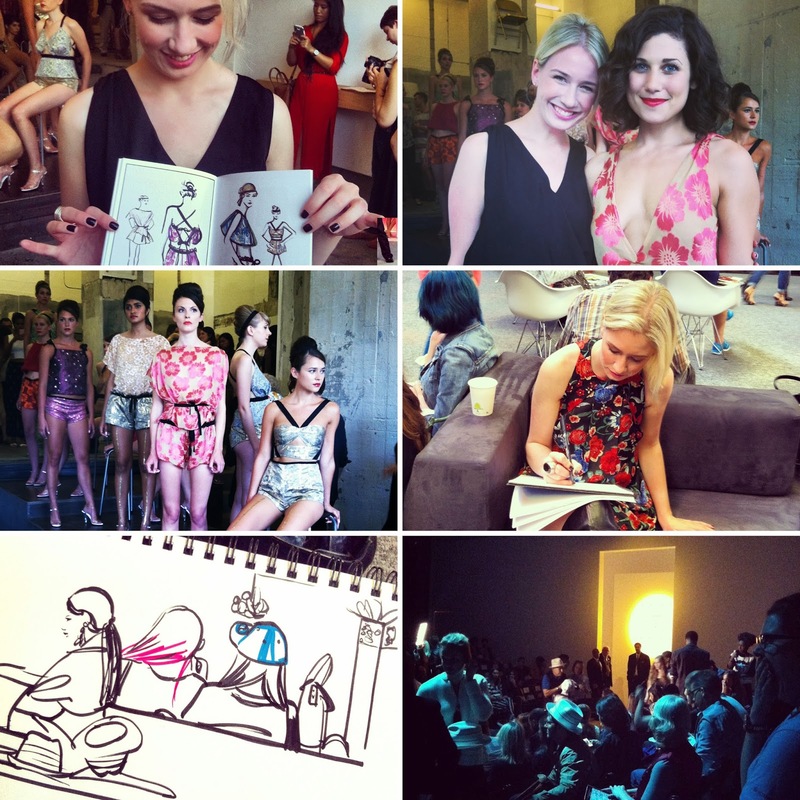 Having captured much of the action via Instagram, my favorite Aussie Jordana Ripp of Perth Style put together this amazing photo collage of my experience, and I just had to share it with you all here. Thank you Jordana for this most incredible memento. I can't wait to post the final illustrations from the Ruffian show here shortly.